Back row, L to R: Irene, Bernice, Dean. 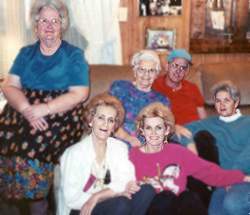 Front row, L to R: Jean, Sylvia, Rosa Lee. 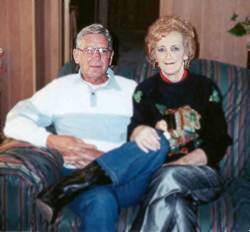 Wayne and Jean (Vanderheiden) Reese. This picture was taken December 25, 1998.